A few miles southeast of Dripping Springs, the historic 497-acre Ragsdale Ranch lies along both sides of Onion Creek and boasts beautiful views and significant water resources. For generations, stewards of the ranch have effectively managed it for livestock production while sustaining the health of the land. 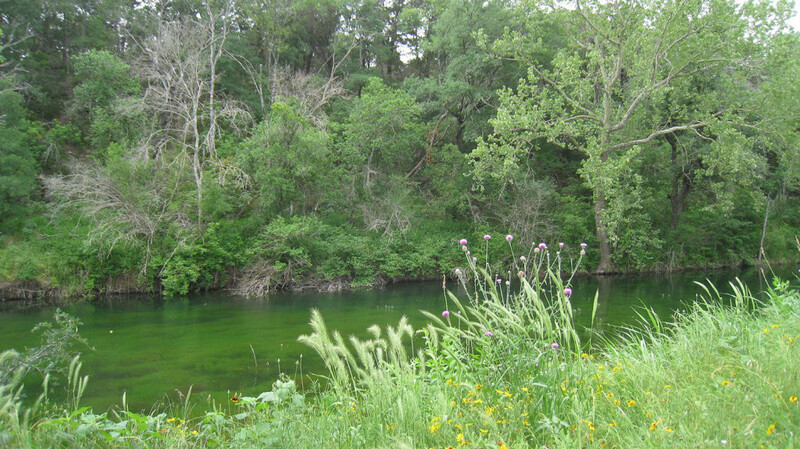 Ragsdale Ranch is located in the contributing zone of the Barton Springs segment of the Edwards Aquifer, with Onion Creek meandering through the center of the property. Precipitation falling on land in the contributing zone flows through creeks and streams to recharge the aquifer, which supplies clean, clear drinking water to more than 50,000 Hays County and south Austin residents. The history of this property is rich and complex, beginning with the Thomas R. Jackson Survey, issued March 28, 1835. Through its varied and interesting past, Ragsdale Ranch has become part of Texas’ farming and ranching heritage. The original Jackson Survey was partitioned and sold into different ownerships; however, the most historically significant tract comprises the B. M. Gibson homestead established in 1870, the remains of which still exist today. These relics of the original house with standing chimney, original hand-dug well, yard landscaping, outbuildings and fence lines are set within the same pastoral landscape present in the 1870s. The Gibson homestead holds tremendous historical and archaeological significance to the agricultural tradition of Texas. Our history of diligent stewardship for the natural beauty of this land and its resources is one worthy of preservation. 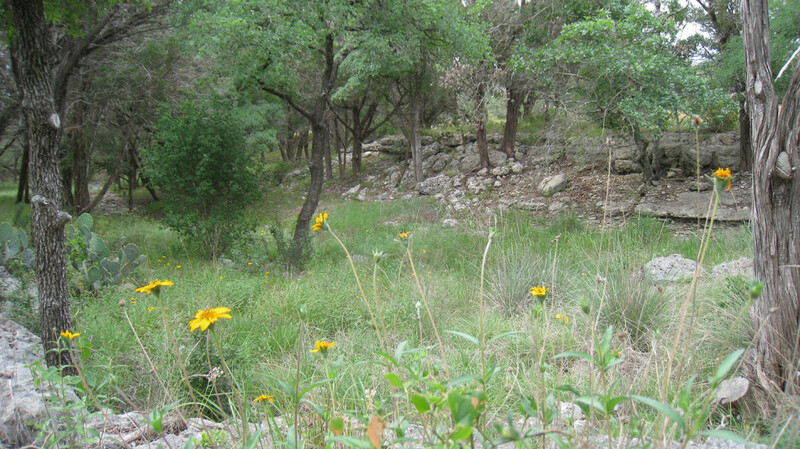 Utilizing Farm and Ranch Land Protection Program (FRPP) funds from the U.S. Department of Agriculture, funding from the City of Austin, and support from Advanced Micro Devices and land/water/sky LLC, Hill Country Conservancy secured the conservation easement on this sensitive, historic ranch in 2007. For generations to come, HCC and the landowners at Ragsdale Ranch will partner to preserve its natural resources, clean water supply and historic landmarks.